I was recently offered the chance to review a new computer based software package dedicated to recording details of pregnancy and your child's development. It also has information about conception and fertility for those at the family planning stage. I love keeping records of Isla's development and up till now I've done this through a paper baby journal, inserting scans/ photo's and writing bits and pieces about her development as and when I remember to do it. And that's the trouble with baby books, you have to remember to write in it (that's once you've remembered where you've put it in the first place!) 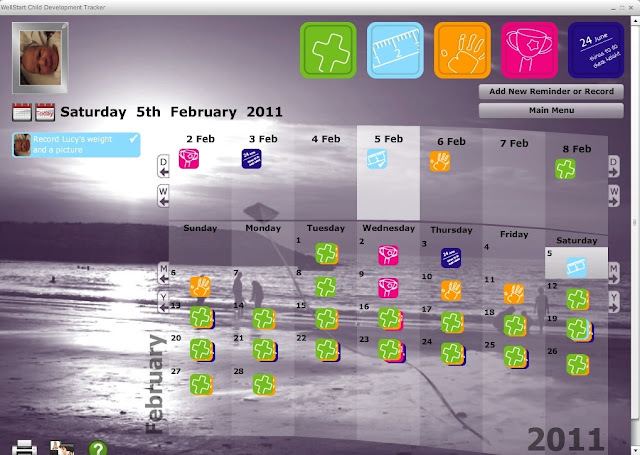 and so you can forget to record all those momentous milestones, like first rolling over, first tooth, first steps etc. The beauty of the Wellstart program is that it starts up on the laptop once Windows has opened, so given that I use my laptop everyday, it works as a prompt to add in a quick note about something that Isla has done that day or something about my pregnancy. There is no excuse not to do it. The program itself is a calendar and in relation to pregnancy, it gives notes about what to expect each week. For existing children it gives guidelines of what you should expect of them for their age, along the lines of how many words they should have in their vocabulary, things that they should be physically capable of doing for their age, like climbing the stairs etc. When you first use the software you input all the family details, mother, father, existing children and pregnancy details. You can then add in photo's of your children and from that point onwards you can make journal type entries relating to each of your children. For each note you make you can add photo's, video footage or sound files, so written memories of babies first taste of solids can be accompanied by a video of those first few mouthfuls - which I think is brilliant - the memories all consolidated in one place! This makes it like a library of your child's development and I think it will be fantastic to actually be able to sit with Isla or the new baby when he's old enough and show them all the notes and media you've kept about them. I remember being fascinated with the cine film footage that my Grandparents took of me when I was very young and that didn't even have any sound, so I can imagine their delight at seeing all this. 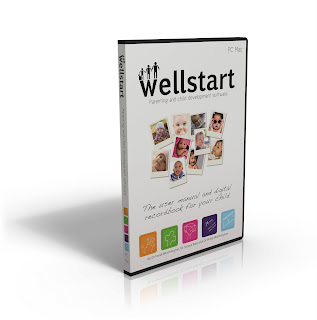 My only criticism of the Wellstart software is that it could be aesthetically more pleasing, it has a basic look about it - you are able to change the colours in it and the fonts and you can add your own photo's, but I think it can look a bit clinical. So for me I'd like it to be 'funked' up a bit - this is minor criticism though! If you are the kind of person who likes to have hard copies of this kind of thing then you can also print off your records and you can email records you've made too. 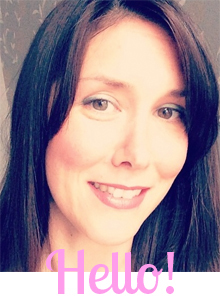 Another feature I like is the link to BabyCentre which has a wealth of resources for child development and advice, I'm a regular visitor to their website, so for me this is a useful resource. Overall I'm sold on Wellstart, and I can't wait to start using it for our baby boy's arrival in July. I will enjoy recording his milestones right from the beginning and using the software to store favourite photos and videos of him. I have already bought him a paper baby book and I think it's nice to have both anyway! 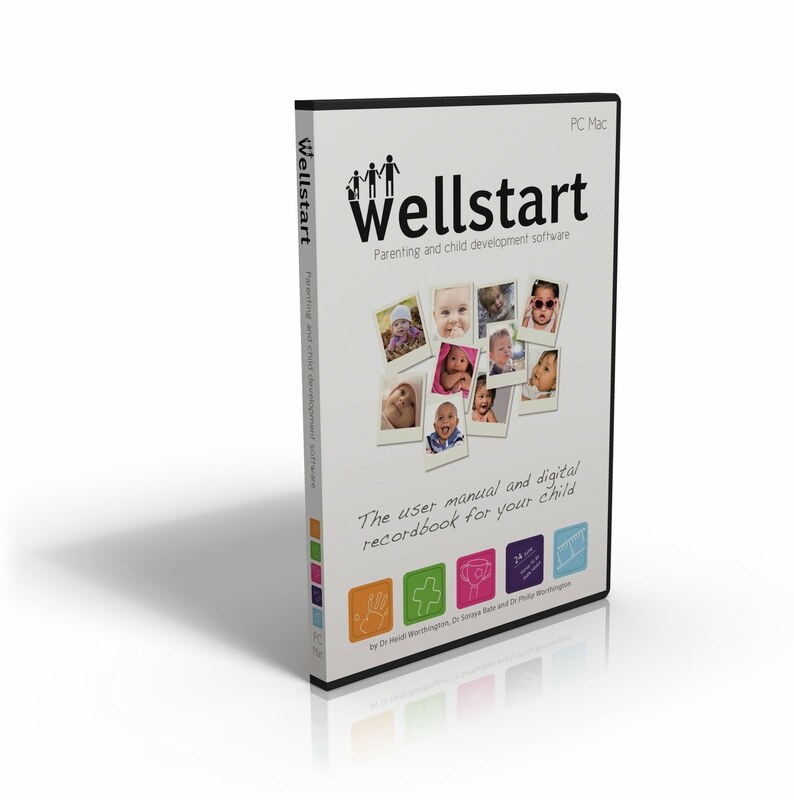 We were supplied with a copy of the Wellstart software to review free of charge in order to write this blog post.